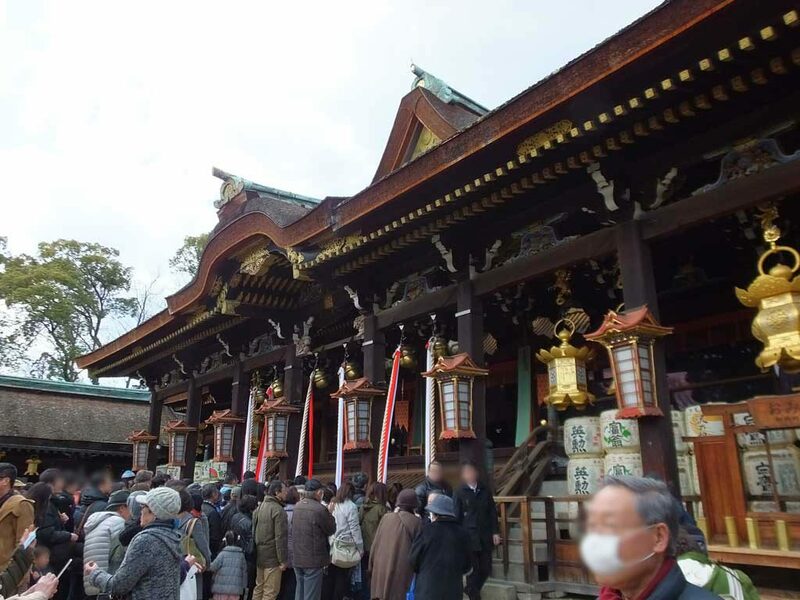 There are many old Shinto shrines in Kyoto, and Kitano Tenmangu Shrine is one of them. 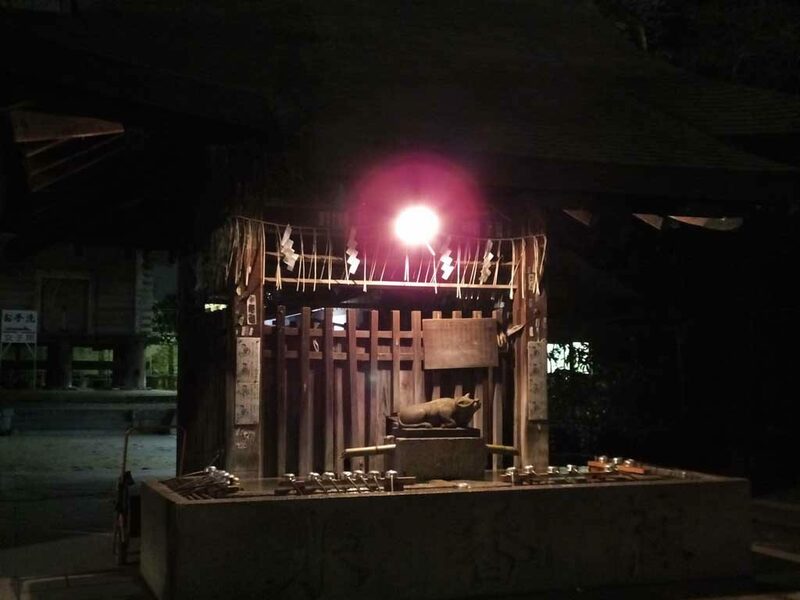 Built in 947, it is the first Shinto shrine that enshrines an actual person as a deity. 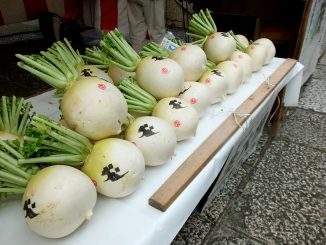 The name of the deity is Sugawara no Michizane. He is well known as a deity of learning because he was incredibly smart during his lifetime. It is believed that he was able to write Chinese poems very well when he was only 11 years old. When I visited the shrine, I thought the main building was unique. 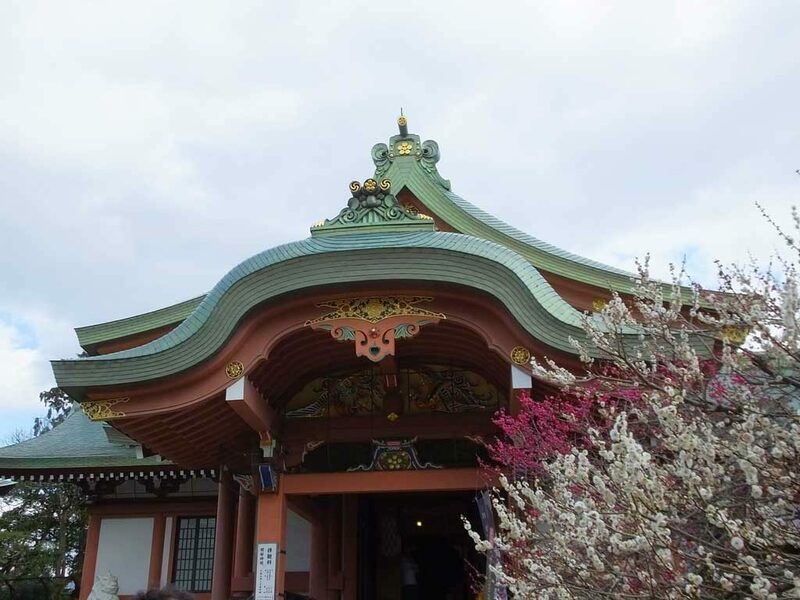 The hall of worship is located in front of the main hall where Sugawara no Michizane is enshrined, and these two buildings are connected by a hall (Ishi-no-Ma Hall). 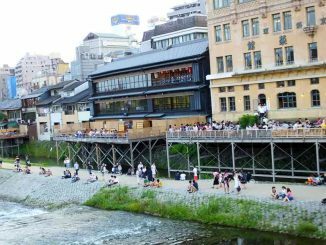 This multi-building construction is known as yatsumune-zukuri. The roofs look like waves on the sea. 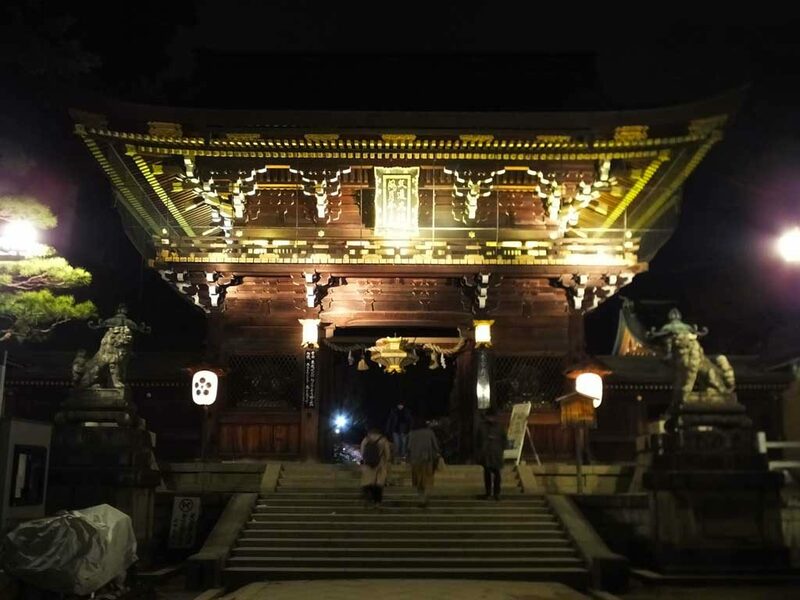 Another characteristic of the shrine is Sanko-mon Gate. The shape and colors of the gate are bold but sophisticated. It is like an art work. I really like this beautiful gate. 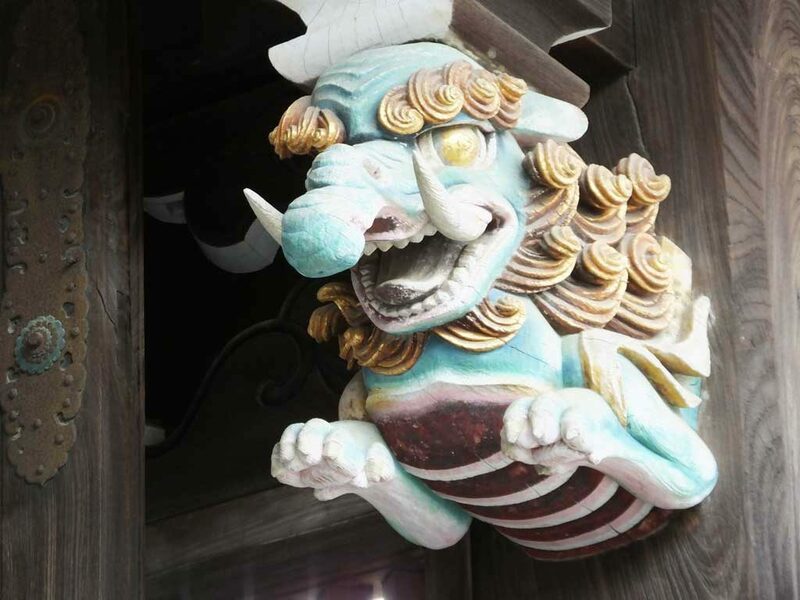 Look at the brilliant colored wood sculptures and carvings of Sanko-mon Gate. 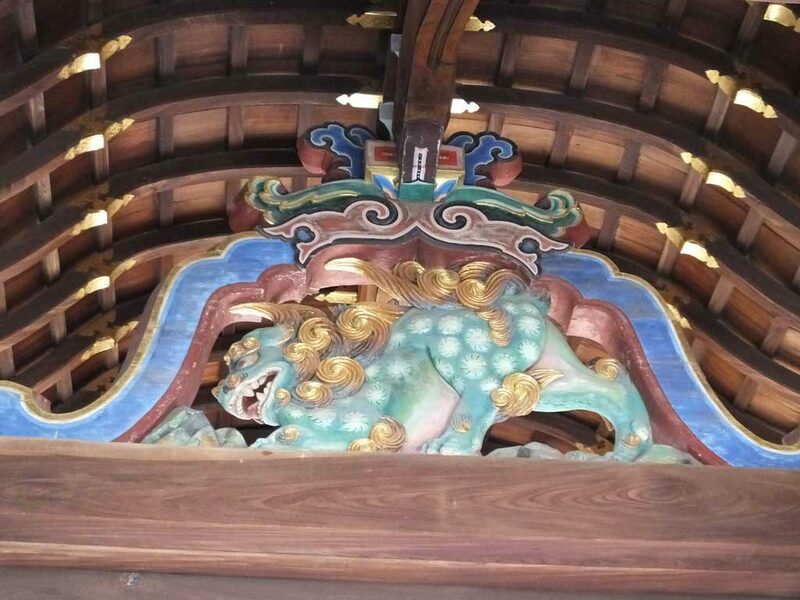 The gate was built in the Azuchi-Momoyama Period (1573-1603), when people liked sophisticated sculptures and carvings like these. 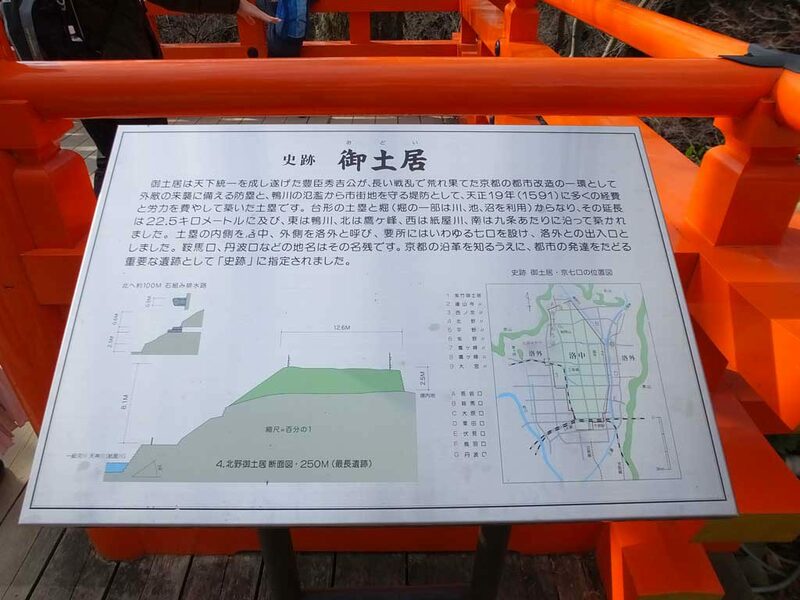 In other words, this gate is typical of Azuchi-Momoyama Period. You can see cow statues in the shrine. It is believed that visitors will be healthier by rubbing them. 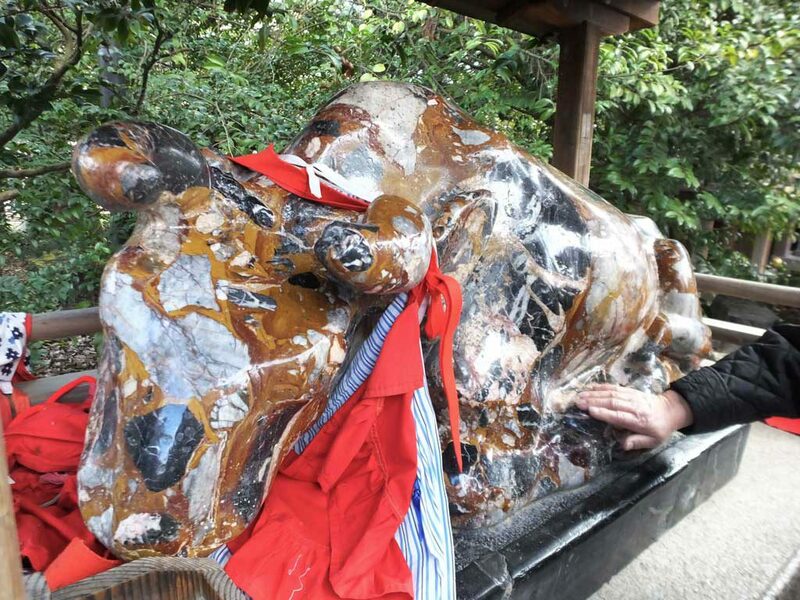 Those who have sensitive stomachs rub the cows’ stomachs, and those who have weak hearts rub the cows’ chests. 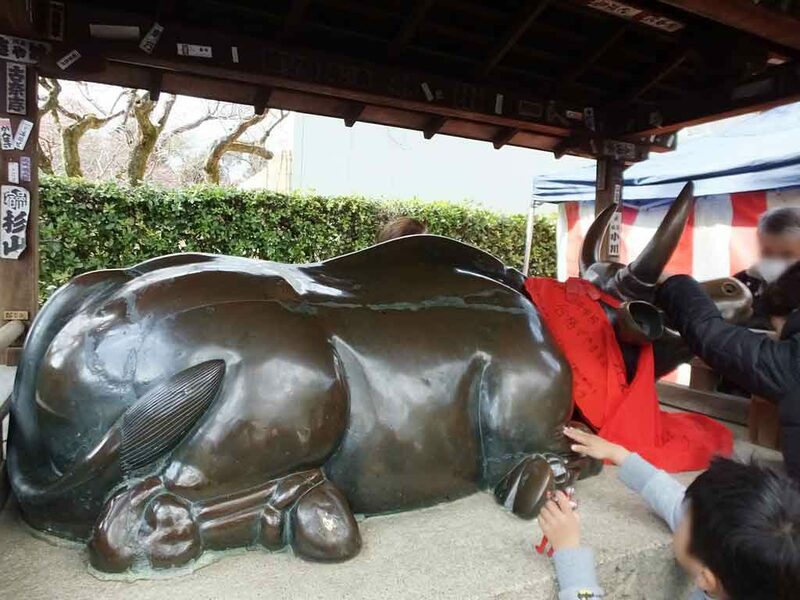 Every year, many students preparing for exams visit the shrine and rub the cows’ heads to be smarter and pass their exams. Look at the next picture. The short path leading to another cow statue is lined with torii gates. Next to the cow, there are many ema plaques dedicated by students. 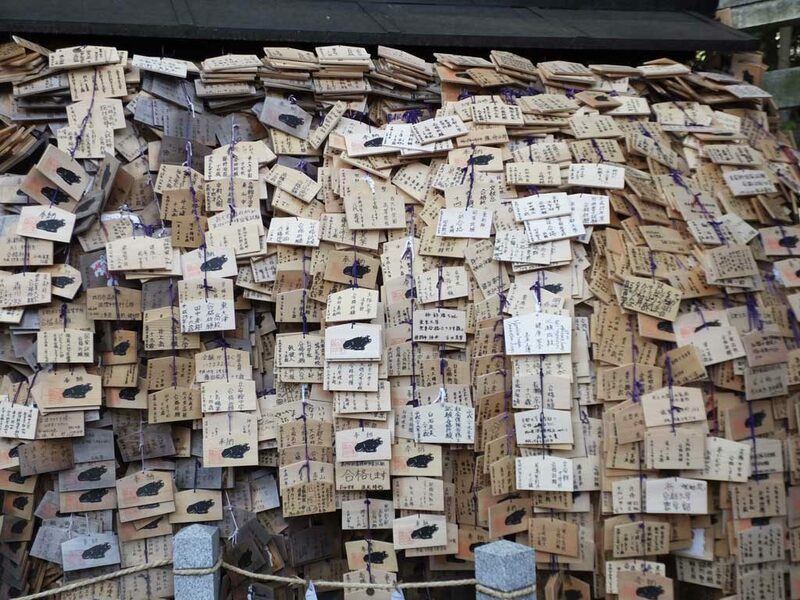 The number of ema plaques on which students’ wishes are written is no less than one hundred thousand every year. 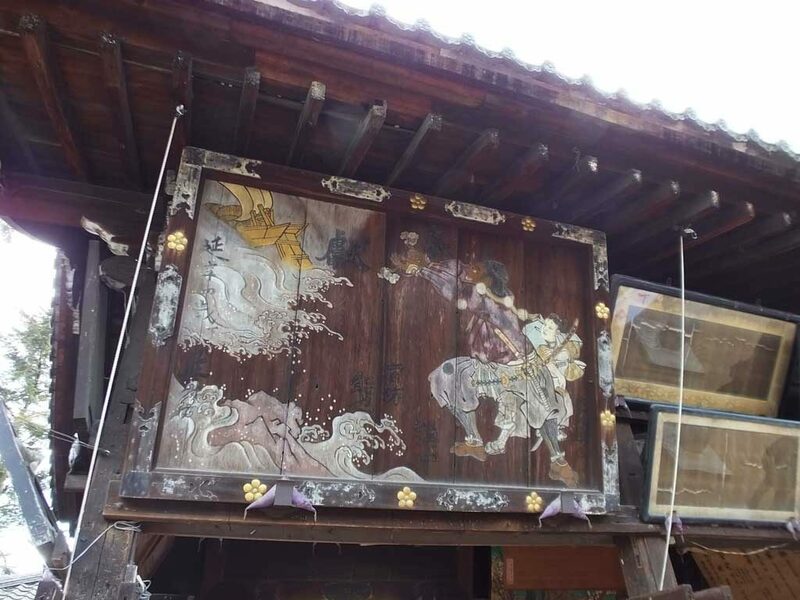 Originally, ema were small wooden plaques in history, but they developed into bigger paintings with the times. 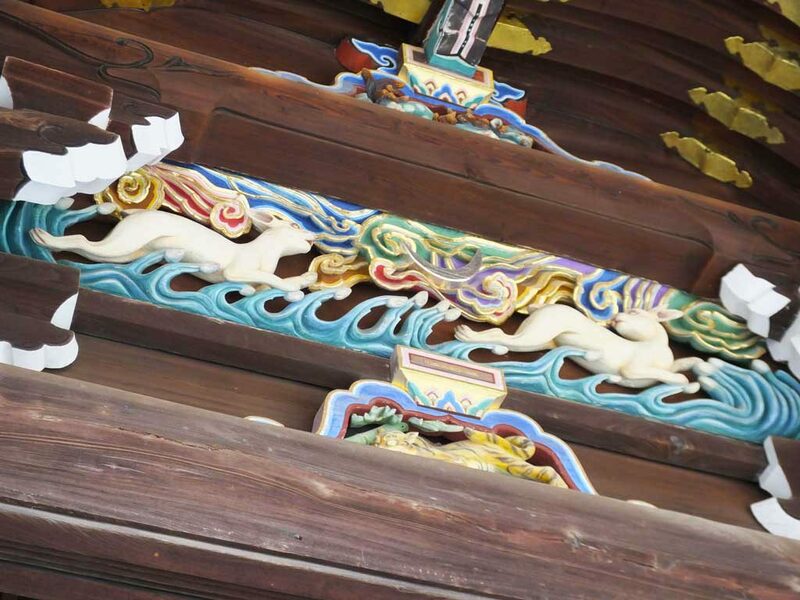 In Kitano Tenmangu Shrine, an ema-sho, a place to display such big ‘ema‘ was built in 1699. There I saw big ‘ema‘ and felt the history, because today ema are known as small plaques again. History is interesting. Also there was a series of works of Thirty-Six Immortals of Poetry. 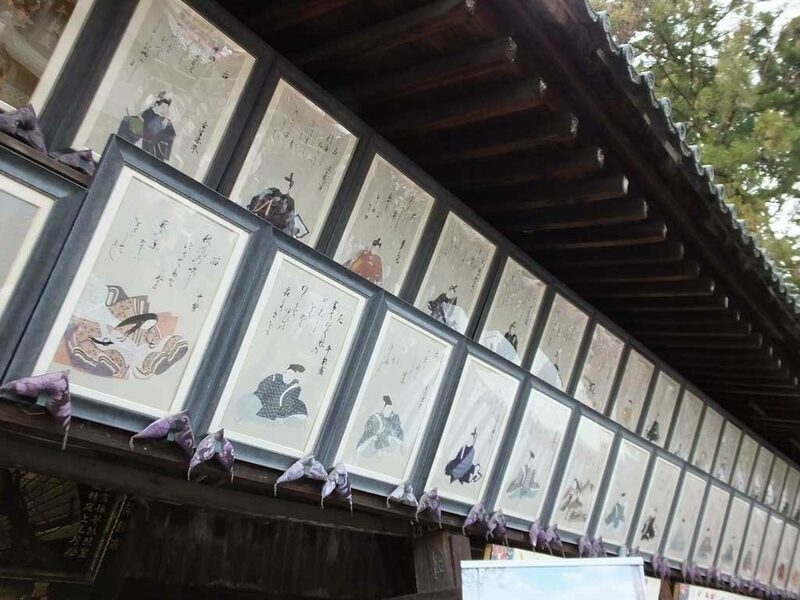 Some temples and shrines in Japan have Thirty-Six Immortals of Poetry like this, but this shrine’s work is special because it is made of Nishijin-ori, the high quality traditional textiles in Kyoto. The ema-sho is just like a small art museum. 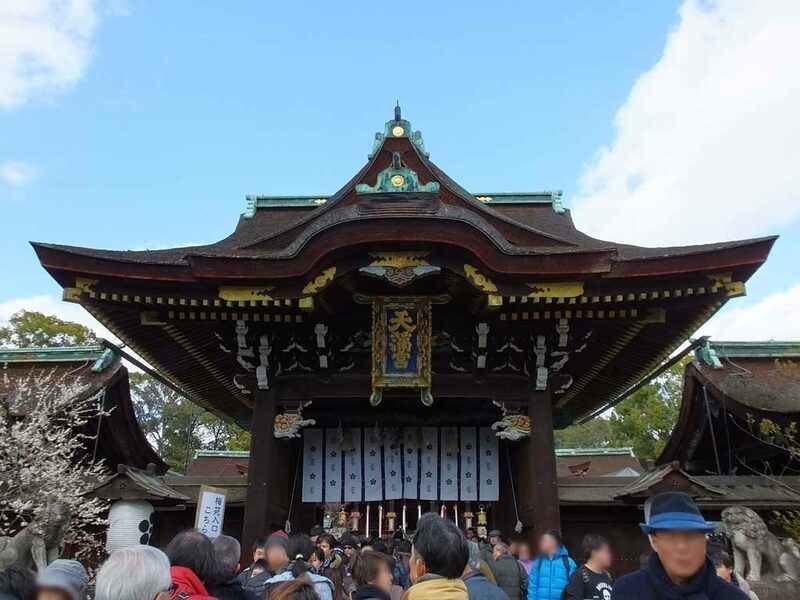 In the shrine I found a description that says ‘Toyotomi Hideyoshi built enormous Odoi in Kyoto in 1591, and there has been a part of it here,’ but what is Odoi? 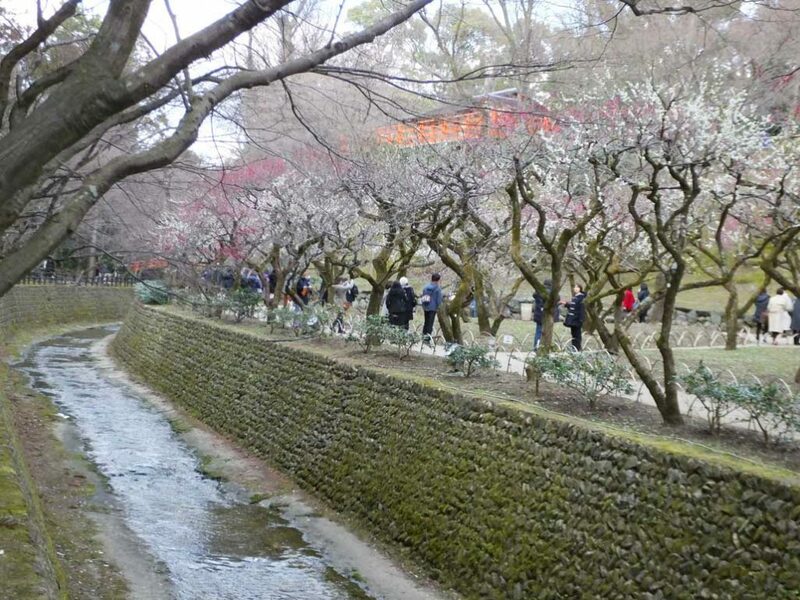 According to the description, Odoi was a kind of earthwork fortification, and some parts of it used to play a role in protecting Kyoto as river banks. The 22.5-kilometer Odoi encircles the central area of Kyoto. 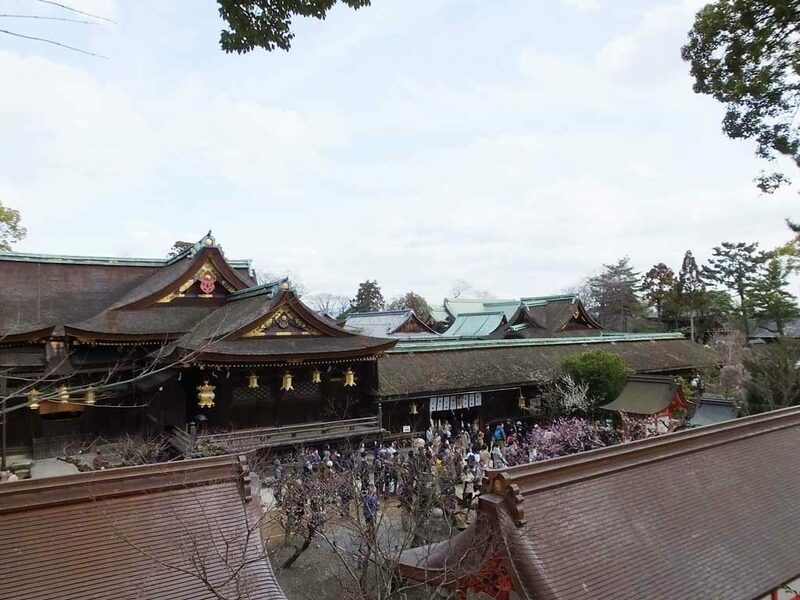 A part of Odoi in Kitano Tenmangu Shrine is called Kitano Odoi. It was built along Tenjin River. When you go to Odoi, turn around and look at the main sanctuary from there. You will feel as if you were in a whole new world. Hideyoshi might be satisfied with this view from the height. 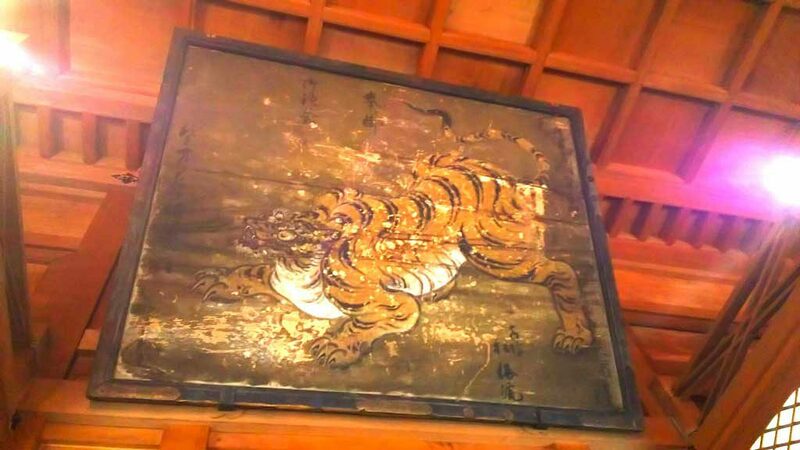 There is Homotsu-den (Treasure House) in the shrine, too. Though people are generally not allowed to take pictures in places like this, a receptionist told me that it was OK if using a mobile phone camera. 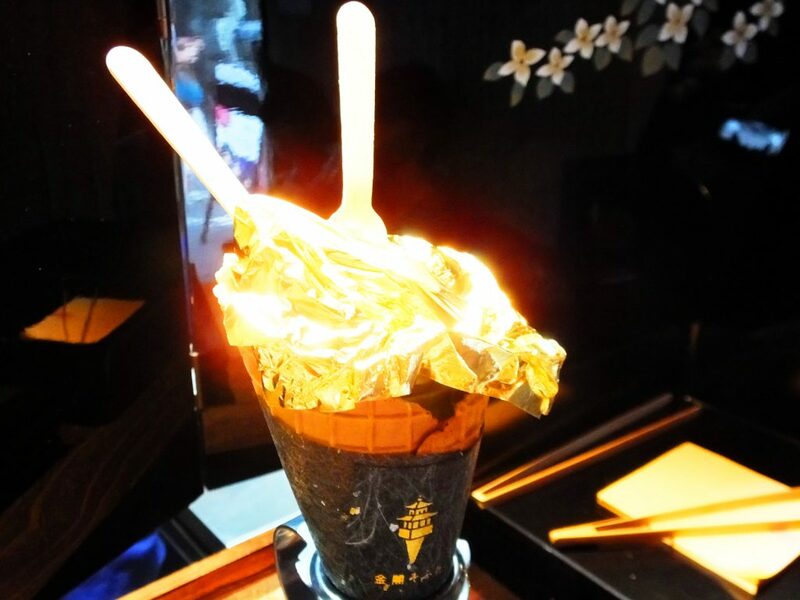 The adult admission is 300 yen. Be sure to check when it is open beforehand. 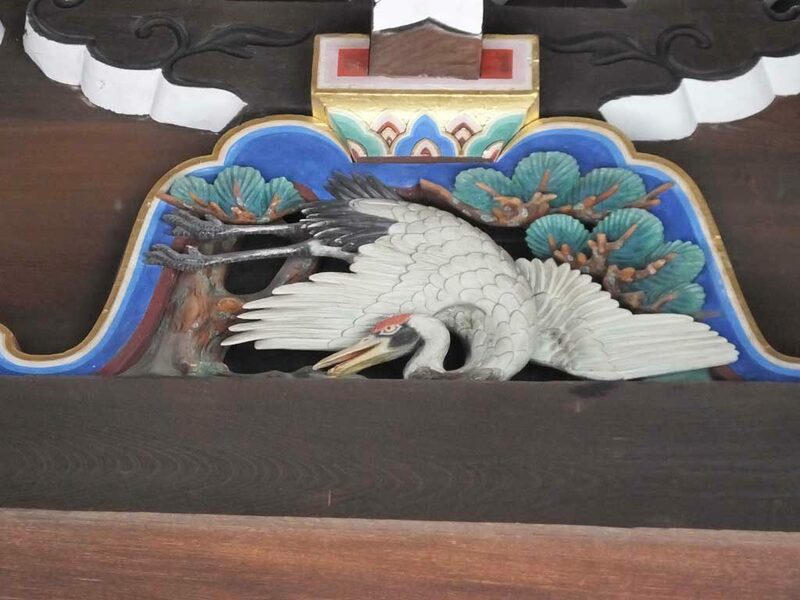 Many treasures are stored in the shrine because they were offered by visitors of the shrine, such as the imperial family, court nobles, samurai and merchants. Different things might be displayed on different days there. When I went there, I saw suits of armor, which were very cool but a little scary for me. Anyway, it is extremely old and worthful. 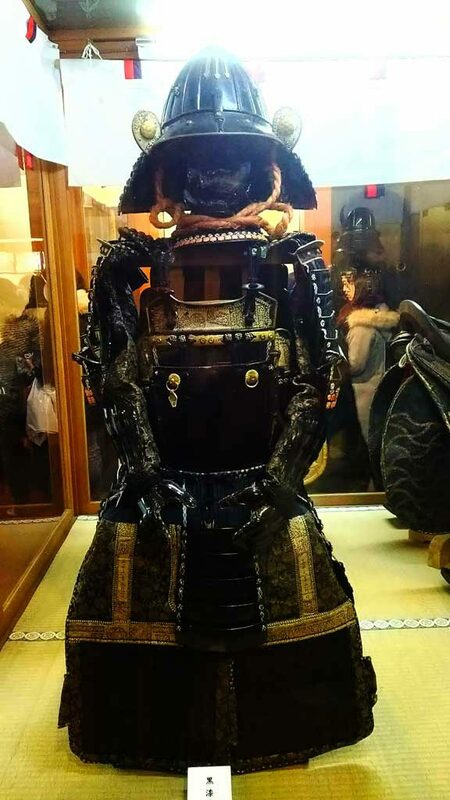 Today you cannot see real fighting samurai anymore, but see their armor. 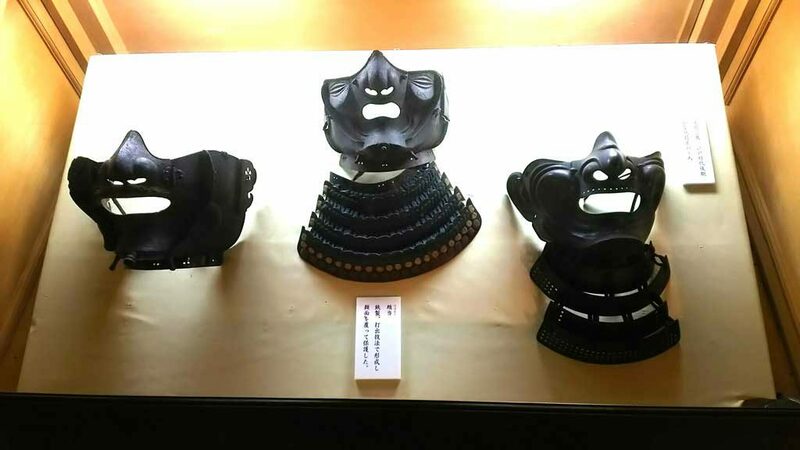 There were many other treasures such as paintings, warrior masks, fierce god statues and swords. 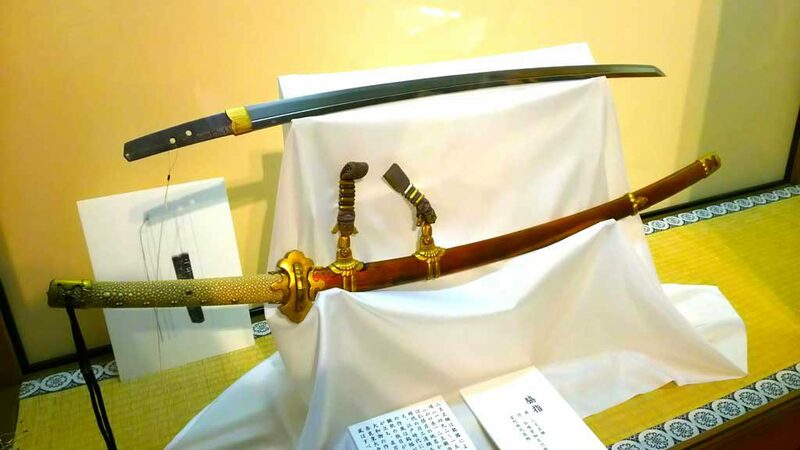 I think even those who live in Kyoto rarely know that Kitano Tenmangu Shrine has such a variety of historical treasures. June 25th is the birthday of Sugawara no Michizane, and February 25th is the anniversary of his death. 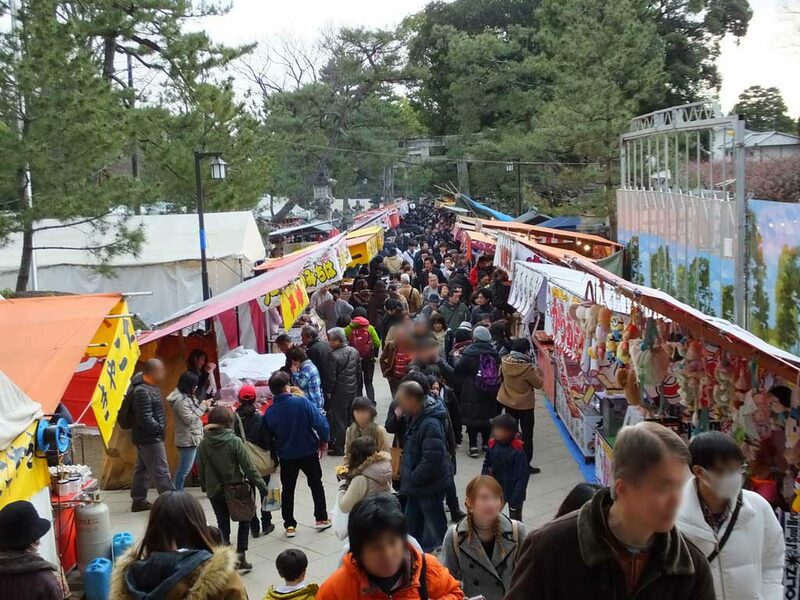 Today, on the 25th of every month, there is a flea market in and around the shrine. 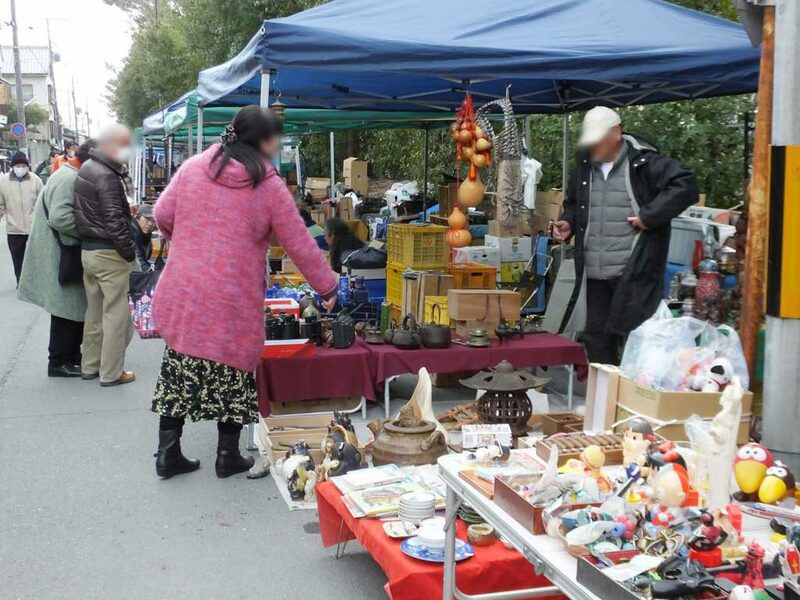 The flea market is commonly known as Tenjin-san. 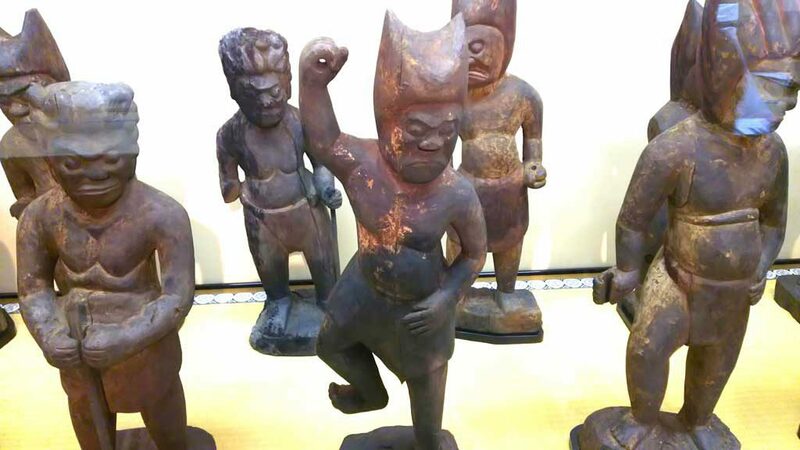 They sell a wide variety of antiques like pottery, kitchenware, furniture, clothing, toys and more. There are many food stalls, too. 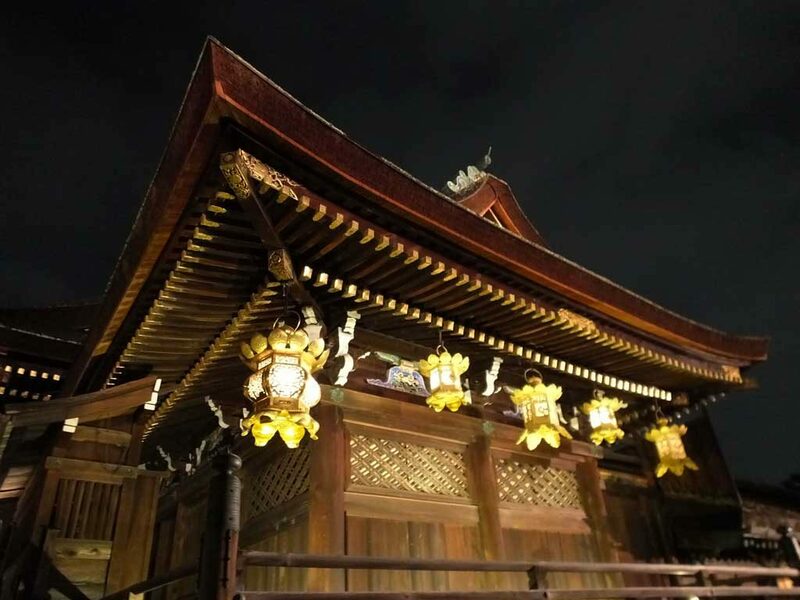 On the days of the flea market, the shrine is illuminated from the time of sunset to around 9:00 p.m. and you can look around the shrine in the evening. 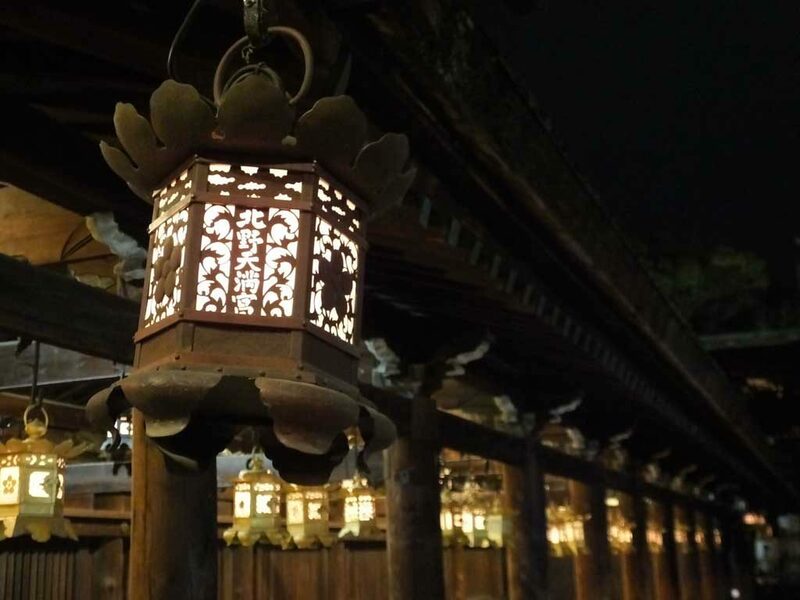 350 stone lanterns and 250 hanging lanterns are lit up, which creates a magical atmosphere in the shrine. 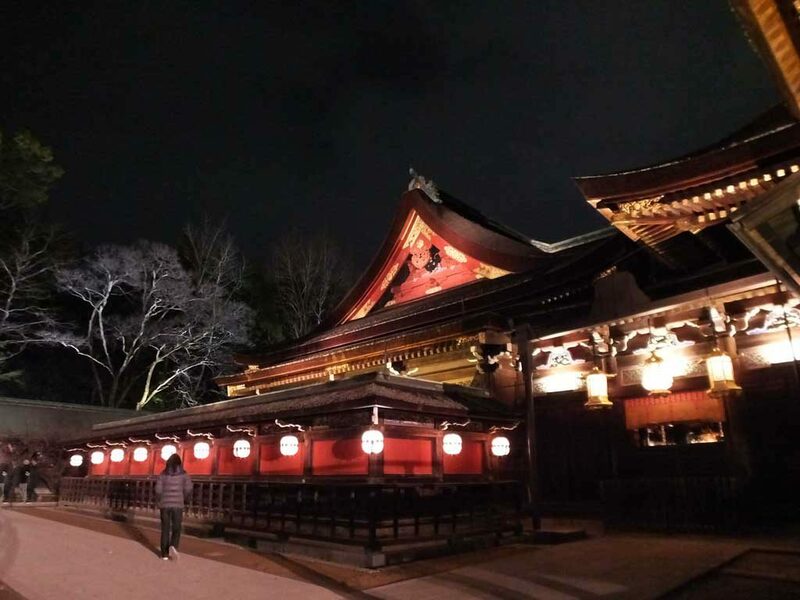 When I visited the shrine in the evening, it was not crowded at all. At first I thought it was lucky for me, but I became a little scared when I saw the cows illuminated by a spotlight. I think such a feeling may be similar to the fear of God, so that may be a special experience for me. 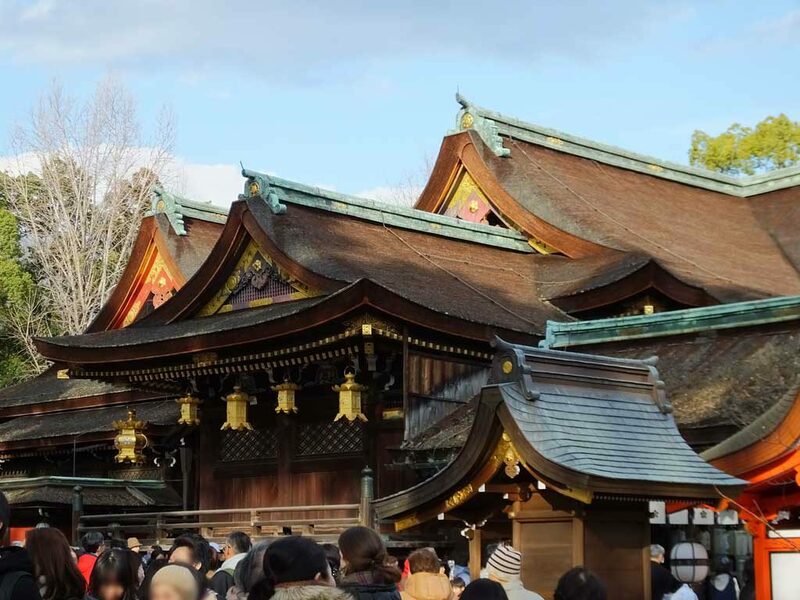 Kitano Tenmangu Shrine is must-visit place in Kyoto. 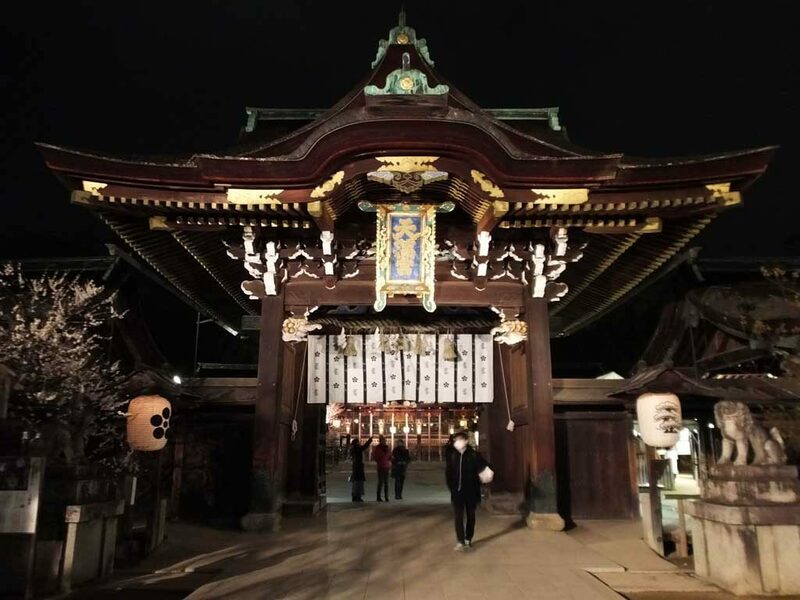 This historical and interesting shrine will bring you special memories. 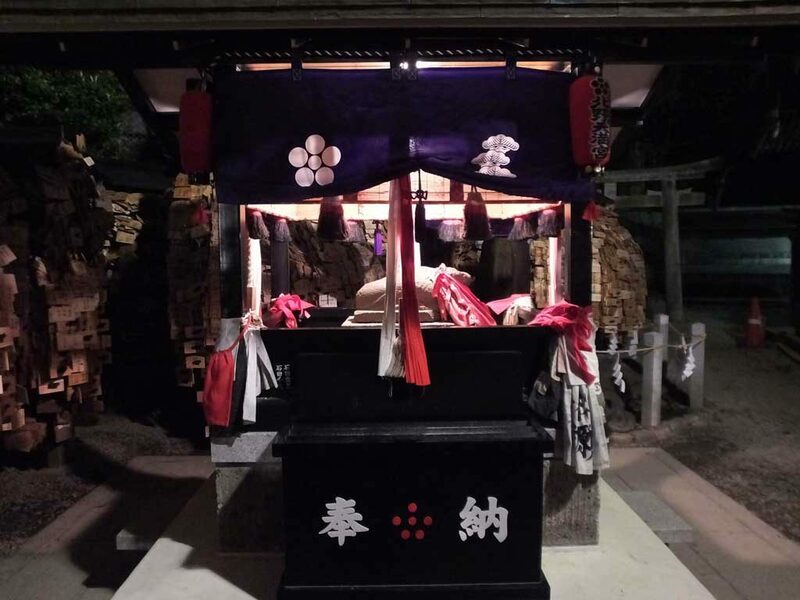 I can recommend this shrine to anyone because I myself like it very much. 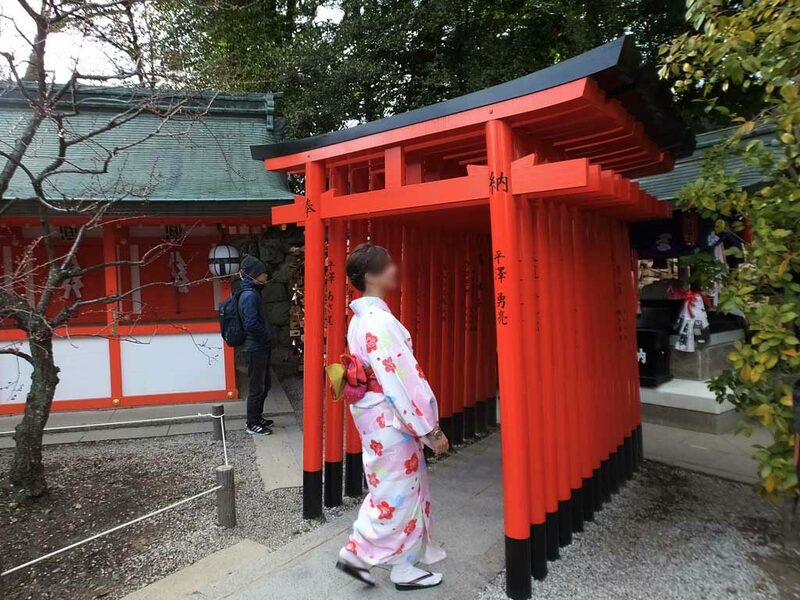 Visit the shrine, and find ‘your Japan’. Apr.―Sep. 5:00 a.m.―6:00 p.m. Oct.―Mar. 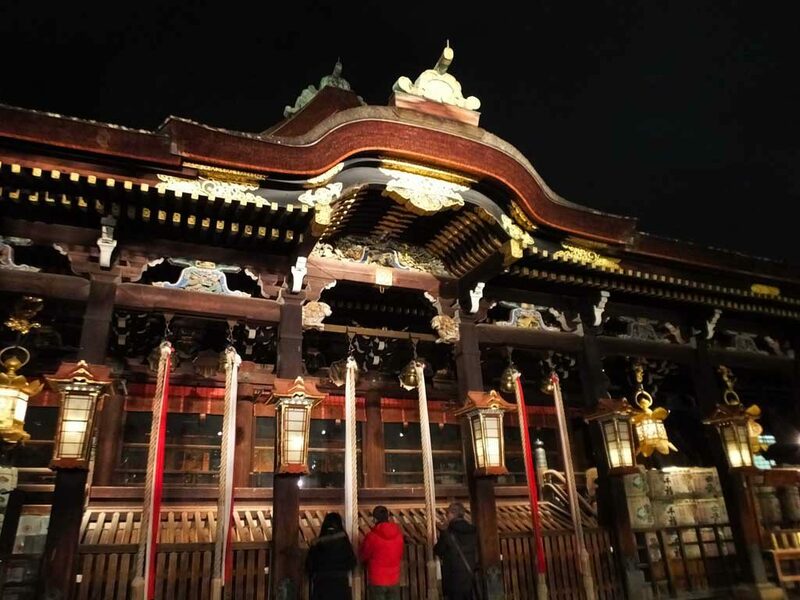 5:00 a.m.―5:30 p.m.
Open hours during the period of the illumination of Momiji-en 9:00 a.m.―8:00 p.m.
/ on the 25th of each month (Tenjin-san festival) 6:00 a.m.―8:00 p.m.